The California State University (CSU) International Programs offer academic study abroad programs in Shanghai at Jiao Tong University or in Beijing at Peking University. 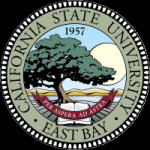 The California State University (CSU) is a public university system in California. Developing intercultural communication skills and international understanding among its students is a vital mission of The California State University (CSU). Since its inception in 1963, the CSU International Program has contributed to this effort by providing qualified students an affordable opportunity to continue their studies abroad for a full academic year. More than 15,000 CSU students have taken advantage of this unique study option. International Programs pays all tuition and administrative costs for participating California resident students to the same extent that such funds would be expended to support similar costs in California. Participants are responsible for all personal costs, such as transportation, room and board, living expenses, and home campus fees. Financial aid, with the exception of Federal Work-Study, is available to qualified students. To qualify for admission to the International Programs, students must have upper division or graduate standing at a CSU campus by the time of departure. Students at the sophomore level may, however, participate in the intensive language acquisition programs in China, France, Germany, Mexico and Taiwan, or the study in English programs in Korea, Mexico, Sweden and Taiwan. International Program (IP) students take Chinese language and culture classes at Peking University within the College of Chinese Language Teaching, commonly known as the School of Chinese as a Second Language. Chinese language classes are offered at the beginning, intermediate and advanced levels. All students are required to take conversation, reading and writing courses and are divided according to their skills. In addition, students can take "Listening in Chinese," "Writing Chinese Characters," "Newspaper Readings," and other special subjects in Chinese economics, history, music, politics, and religion. IP students with near-native fluency in Mandarin Chinese (reading, writing, aural and oral fluency) may take regular courses in selected departments at both universities. Most offerings in Chinese literature, history and philosophy are open to visiting international students, although the range of such courses varies from year to year. Language tutors are available at a reasonable cost.